CHANGI Point has long been a destination for those seeking chalet stays and beach fishing. The leafy sanctuary has been left relatively undeveloped over the years but that is starting to change with the introduction of new hotels and eateries - all part of plans by the Urban Redevelopment Authority (URA) to turn it into a seaside resort and recreational destination. Boutique hotel Raintr33 opened its doors last December at the foot of Hendon Road, joining two-year-old hotel and conference centre Changi Cove in Cranwell Road. A third, Hendon Hotel, is under construction, along with an accompanying sports complex. The 47-year-old owner of Raintr33, who declined to be named, called Changi Point "one of Singapore's best-kept secret spots, which locals know of but yet know little about". The area is part of the URA's Rustic Coast Plan drawn up in 2002. 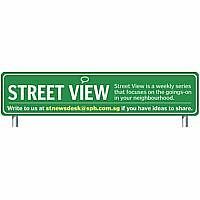 Between 2004 and 2006, it built a 2.6km boardwalk along the coastline, as well as a park connector along Netheravon Road, which runs westwards from the bustle of foodie hot spot Changi Village towards Fairy Point Hill. A URA spokesman said: "In planning for Changi Point, a key consideration has always been how we can keep its laid-back ambience with its rich heritage and history, lush greenery with many heritage trees and easy waterfront access." Changi Point was the site of numerous British military buildings and barracks in the 1930s, many of which were later converted into chalets or taken over by the Singapore Armed Forces in the 1970s to house commandos. Raintr33 refurbished the old commando barracks at 33 and 42 Hendon Road. The hotel has drawn many nostalgic former commandos, including the barracks' final batch from 1992, who held a reunion at its Cedro bar shortly after its opening. Raintr33's owner recalled: "They went to the garden shed, which used to be where they did their training and, then and there, they all fell into their old formation and asked us to help them take a photo." Ms Chang Weng Lok, 23, who owns Western restaurant Queen's Garden at Raintr33, said: "They have fond memories of this place, they like to joke 'I used to stay here for free, but now I have to pay'." A lawyer in his 50s, who did his national service in the area in the late 1970s, became a regular at Queen's Garden once he found out his old mess hall had been transformed. He said: "When I was serving in the army here, it was already a charming place. This is one of the last few bastions of tranquillity in Singapore." Its remoteness has also given Changi Point a somewhat ghostly reputation. Cleaner Janet Bangar, 64, who grew up in the area, said: "Many, many years ago, nobody wanted to live in Changi. It was a scary place. "When I was a girl and I wanted to take a taxi back home to Changi at night, the taxi drivers would say, 'No, no, no, if I take you there, who knows who I will come back with?'" When Raintr33 first opened, netizens initially mistook it for the infamous Old Changi Hospital further up the road. Abandoned in 1997, the one-time military hospital has long had a reputation for being haunted. Raintr33's owner said the hospital's proximity has not hurt business - in fact, the hotel was "inundated" with calls after posts about its spooky reputation spread online. Also unfazed is Blue Dolphin Gallery, the developer of Hendon Hotel and Sports Complex, which is even closer to the hospital than Raintr33. Blue Dolphin Gallery's director, Mrs Mani Shanker, 50, admitted being superstitious and said she is going to conduct "special prayers" from a mix of religions to protect guests once it is ready, which she estimates will be around mid-June. The owner of vintage cafe The Coastal Settlement, Mr Lee Choon Khim, 50, is bullish about the area's promise. Last December, he opened old-school coffee house Jubilee Coffee House And Bar across the road from The Coastal Settlement and, last month, he set up 1920s-style restaurant-bar Meyer House at the Civil Service Club. "Changi Point used to be all about the hawker centre (at Changi Village)," he said. "Today, we see a different crowd coming to Changi Point, with more traffic and more leisure- and cafe-seekers." However, the area's growing vibrancy comes at a price for some. Ms Susan Yee, 47, manager at Ponggol Choon Seng Seafood Restaurant, said: "We moved here in 2007, when this whole place was empty. All our customers parked on the double yellow lines but nobody minded. "Now the carpark is too small and the Land Transport Authority started (noting down) licence plates (of illegally parked cars) around last October." Student Martina Marsha, 18, who has been living in a black-and-white colonial house in the Sealand Road area for the last six years, said: "It's still peaceful and the hotels now aren't very tall. "I don't really want it to be more crowded, I don't want it to become like Dempsey (Hill)." Changi Beach Club member Michael Goh, 61, whose father was a storekeeper with the British Royal Air Force, has fond boyhood memories of Christmas parties thrown by the British forces in their colonial houses, to which families of staff were invited. Mr Goh, who owns a manufacturing business, hopes the area's development will leave some room for history. "We have to give way to progress, but I hope we can keep something of the past."